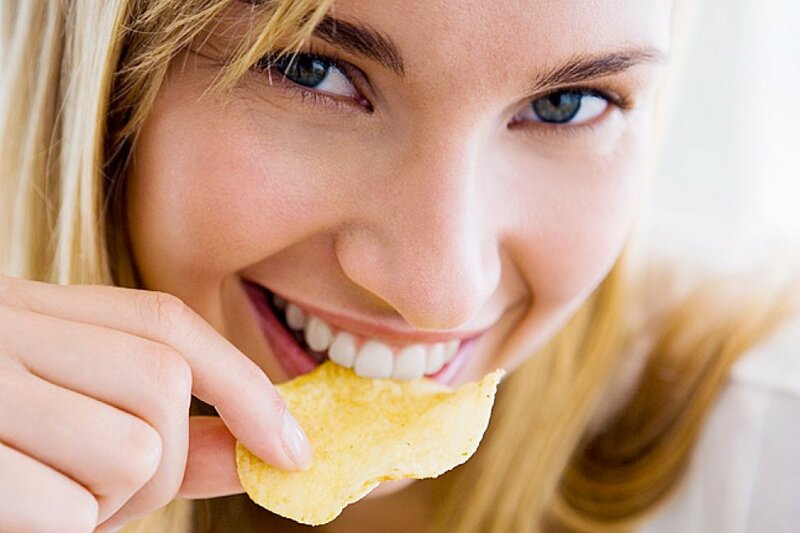 To use potato as a lightener for dark circles, simply slice the potato in sections. Get a chilled washcloth and cover the potatoes with it. Afterwards close your eyes and put the potatoes over the dark circles. Let it sit for about 20 minutes and then wash with water. If you are out of cucumbers, use potatoes to lessen the inflammation of your eyes. Simply slice the potatoes in a thin size and put it in the refrigerator for a several minutes. Then put over your eyes to de-puff them and feel how relieving it is. Get the extract from the potato using a squeezer or a juicer. Then immerse a cotton ball with the extract and put it on your wrinkled part. Use potato juice like a toner. Just soak a cotton ball and apply all over your face. You can also use a Q-tip and start applying on the blemishes. Slice some potatoes and put them in the freezer for a few minutes. Once cold, place the slices on the sunburns. An alternative is to use potato juice, which you will simply apply directly onto the sunburns, which will give you a soothing and cooling feeling. Potatoes are really natural whiteners. One solution to use them is to shred the potato and put it as a mask on your face. Wash after 30 minutes. Another procedure is to mix lemon and potato, a mixture that can effectively lighten your skin as it works as a gentle bleaching agent. While there are several discussions about potatoes being a nutritious food, there’s no hesitation that they have real benefits for our bodies – even for non-beauty motivations. It all relies on how you prepare the root crop. Stress happens to everyone, but since you can't avoid your job, daily chores, or life, the best thing to do is learn to manage the stress. This includes eating healthy, exercising regularly, getting enough sleep, and taking care of yourself. Dark Circles & Under Eye Bags: Tomorrow's to-do list can weigh on your mind, keeping you from getting enough beauty sleep. This can cause fluid to pool below your lower eyelid area, and what you end up with is a puffy mess in the morning. Get at least eight hours of sleep. Since the light from your smartphone's screen simulates sunlight, shut off any electronic devices an hour before you go to sleep. Acne: Stress causes skin issues to flare up regardless of what you're prone to, whether it's acne, psoriasis, or eczema. 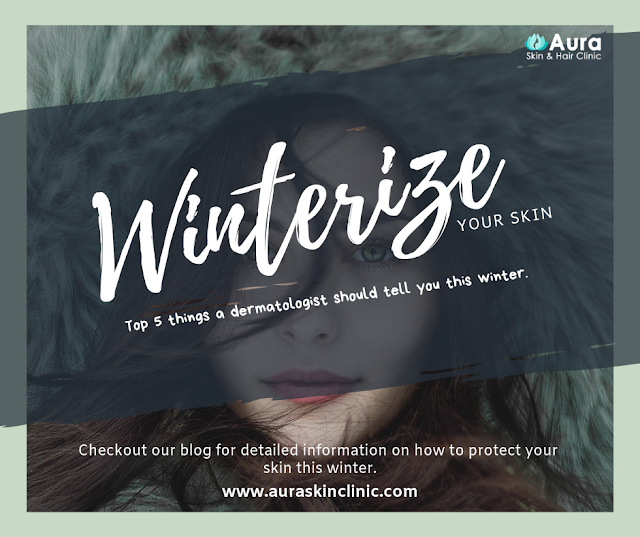 When it comes to acne, stress releases cortisol, which can throw off the other hormones in your body and cause breakouts on your face or body. Drinking a lot of water and eating a well-balanced diet are important, since your body can't handle stress well if it's not properly nourished. Fruits, vegetables, and high-quality proteins like grass-fed meats are also crucial. Graying Hair & Hair Loss: "If you're predisposed to gray hair, stress can cause the melanin in your hair to stop producing, leaving it gray. "It can also cause your hair to become thinner in diameter over time. "Hair loss is usually a reaction to significant physiological stress caused by an extreme change in your diet, medical issues, or sudden lifestyle changes. A variety of stress may cause your body to undergo hair loss, when there's some type of physiological change in your system. "For instance,you go on or off an oral contraceptive or you lose more than 8 kilos of weight.Things like this change the physiological balance in your system. It's also important to note that not all hair loss is anxiety related, but the two may occur at a similar period of time. Many people that start to suffer from hair loss are at an age with many other stresses, like kids, work, and finances. Because they happen at the same age they may seem related, but are technically different conditions. The good news for anxiety sufferers is that not all anxiety related hair loss is permanent. If stress and anxiety are what caused your hair loss, then reducing that anxiety can help your hair come back. If you notice your hair falling out more than usual, talk to your doctor to make sure nothing serious is going on. Fine Lines: Constantly making certain facial expressions, like furrowing your brows when you're stressed or pursing your lips, can lead to deeper wrinkles in these areas over time. Stay Balanced & Look Beautiful : It’s okay to push yourself as great things can happen when you step out of your comfort zone. But always be aware of your boundaries, as your soul responds the same as your skin; when you don’t take enough time to strengthen, you’ll weaken your natural barrier and be more susceptible to having problems. Drink a lot of water — eight glasses or more each day. You can also have some green tea for a boost of healthy antioxidants and eat foods that have a high water content. (fruits and veggies like cucumbers, tomatoes, beets, and celery are 80 to 90 percent water). For more details, discuss with experts at Aura Skin and Hair Clinic, Vizag . Book Appointment Online or Over The Phone. Now you can also book appointment over our facebook page. You must have heard all your life people telling you to eat fruits, but did you ever think for a minute when to eat? Here is what I would like to share about fruits and how you could gain good benefits from consuming them…..! We should eat fruits when we are in a fasting state or when our liver store is empty, so first thing in the morning on an empty stomach or immediately after exercise. Any time aside from this, the body converts the fructose from the fruits to triglycerides. Not only does fruit juice give you 4 to 5 times the amount of fructose you get in one serving of a fruit, it also lacks the goodness of the fruits fiber. So eat your fruit first thing in the morning, not with the breakfast. 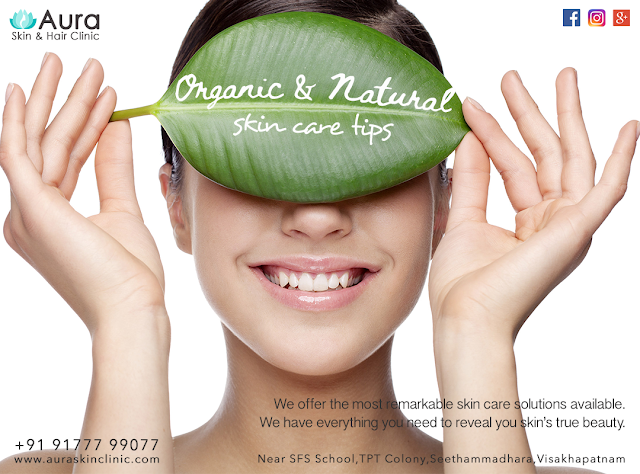 Dr Sravani Sandhya Sandhya is a renowned dermatologist and cosmetologist in vizag, offering exceptional service to her patients. 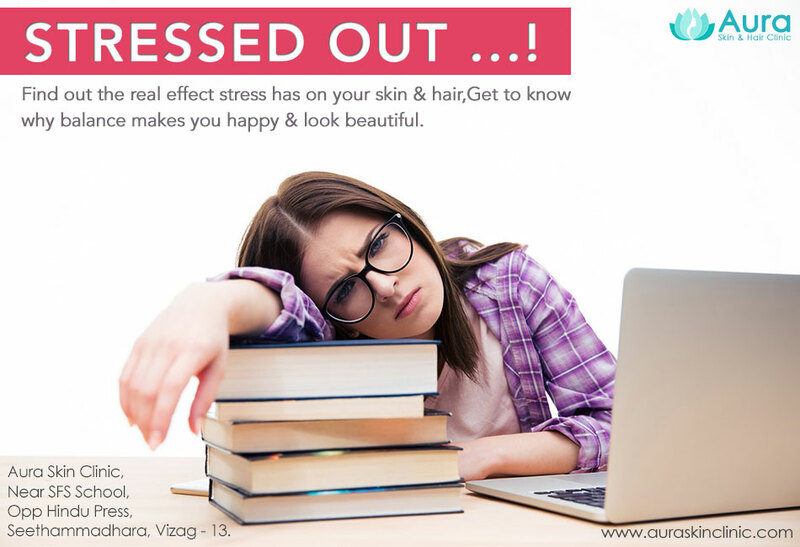 For complete diagnosis and detailed check up, Visit Dr.Sravani Sandhya at Aura Skin & Hair Clinic. Like Our FB Page & Book Appointment Online On Our Facebook Page. How Frequently Should You Wash Your Hair...? No matter how frequently you shampoo, your scalp produces the same amount of oil. Cutting back on shampooing will have no effect on your sebaceous glands; genetics and hormones determine the amount of oil they produce. How often you wash your hair depends on various factors, Well first of all everyone has different kind of hair. Washing too often, in fact, can do more harm than good, "It's paradoxical, but people who wash their hair a lot to get rid of oil are drying out their scalp and producing more oil Besides avoiding washing every day, there are other things to keep in mind when trying to determine the right amount of washing for you. If your hair is anywhere from normal to dry, you probably only need to wash it once or twice a week, if you have a greasy scalp, you probably need to wash your hair more often. Coarse or curly hair slows down sebum's spread, so if you have hair like this you may only need to shampoo once a week. On the other hand, people with fine, straight hair will likely need to shampoo twice a week or more. Another thing to consider is the paces you put your hair through styling and treating it. 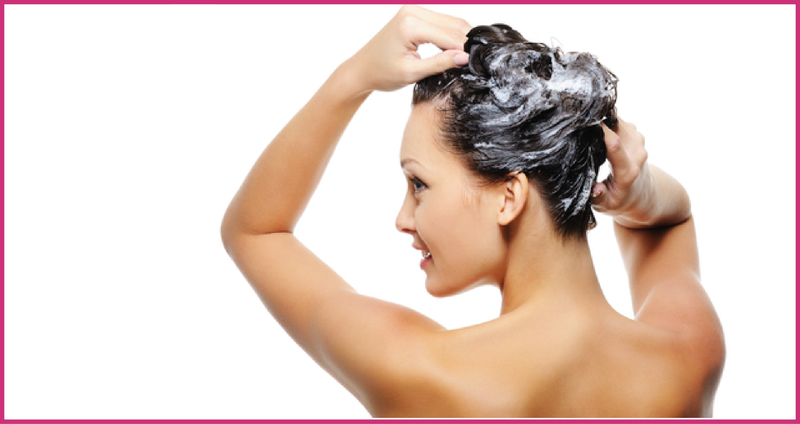 If your hair is processed or damaged by styling, you should wash it less frequently. 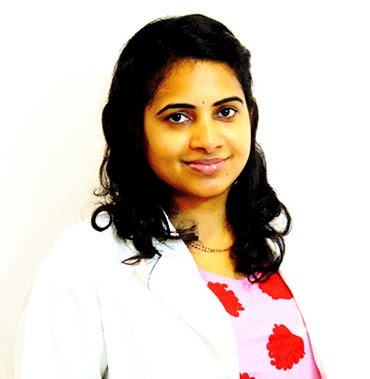 Dr.Sravani Sandhya is an well experienced hair and skin specialist in Vizag, She specialises in medical laser procedures, cosmetology procedures, treats a broad range of dermatology conditions including acne, pigmentation disorder, eczema, allergies, psoriasis and paediatric dermatology.